I went out on the coach boat to take photos of the under 16 8's on Saturday evening. They only started sweep-oar two weeks ago, so it's still a challenge to get everything into line. The coach now has nearly 1600 pictures to go through from a 2-hour session. Should keep him busy! 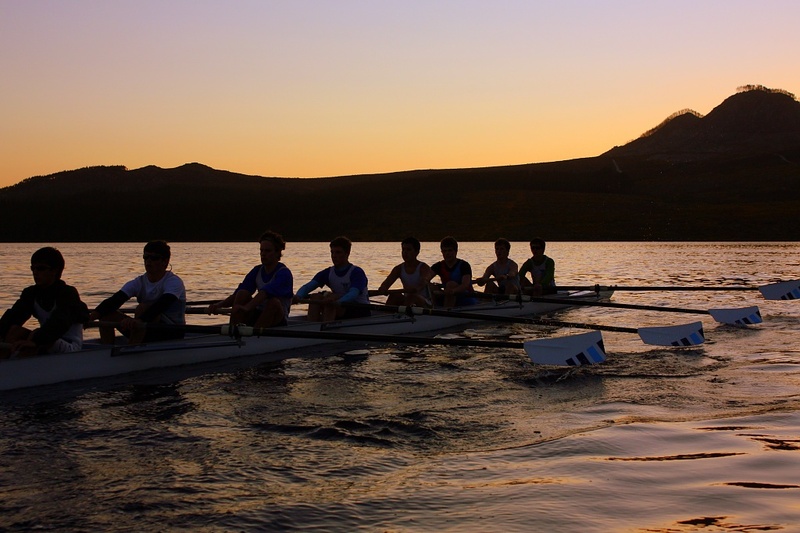 Sitting in the motorboat, following the crew, experiencing the settling of the day, and the changes into night, I had no difficulty in understanding why the guys love rowing. There are moments when it's pure perfection on the water. So many lines right down to the trees on the mountain. Seems peaceful and serene but they obviously working hard! There were moments that I would be in a trance while rowing. We would start the drill, row about 3K and then the drill would be over and I would not remember what happened in the middle. It is such a great sport. @cirasj I totally get what you are saying. I can just imagine it.